What are the two highest paid professions in the world? Actors and athletes. What two things do they have in common? They all practice way more than they actually perform, and they all have a coach. Want to know a close third profession? SALES. 1. Take some training. Lots of training. 2. Practice role playing at least once per week (maybe even daily). If you think this is hokey, you will find yourself in the other 95%. 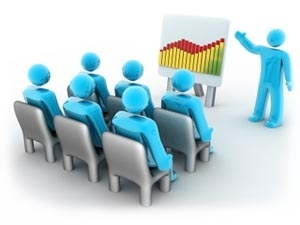 Check out some top notch training: Essential Selling Skills, November 17-18, 2015 in Calgary. We promise to help you take the training beyond the classroom.